Qualifiers for the 2017 Super Millions Poker Open are underway, where you can claim your ticket to play for a cut of $2.5 million guaranteed for as little as $0.50 + $0.05. This will give you a couple of weeks to earn your entries and build your bankroll for you to enter every tournament you choose. 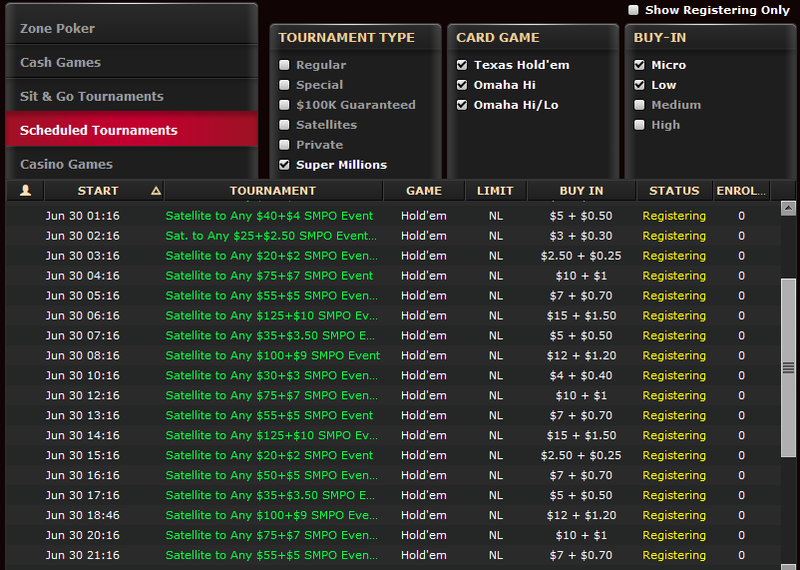 Kicking off July 15 and with over 100 events, the SMPO is one of the most anticipated poker series of the year. Tournament buy-ins range from $5.50 to $450, with all roads leading to the series-ending Main Event on August 13, where you’ll compete for a share of $300,000 guaranteed. That’s 30 total days of SMPO tournaments, a whole month of Poker with something for poker players to look forward to every day! Tournament Events include NLHE, FLHE, PLO and PLO/8. Tournament Formats include: 6 max, Knock-outs, turbos, hyper turbos, super stacks, mega stacks and a few surprises. All Weekday Events (M-F) start at 8:03, 9:03 and 10:03 PM ET nightly. All Saturday Events start at 2:03, 4:03 and 6:03PM ET. All Sunday Events start at 3:03, 4:03, 5:03, 6:03, 7:03 and 8:03PM ET. Sign up on Ignition Poker today and start earning your 100% Bonus up to $1000 now and get ready for the 2017 SMPO……………..